Be the first to share your favorite memory, photo or story of Norman . This memorial page is dedicated for family, friends and future generations to celebrate the life of their loved one. 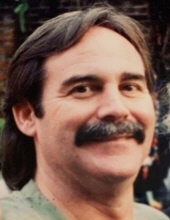 Norman E. Smith of Raleigh, age 68, passed away on April 8, 2019. Norman is survived by his daughter Jennifer Schleich and grandson Timothy Schleich of Chapel Hill; brother Neal Smith (wife Jan) of Winston-Salem; sister Wanda Fisher (husband Richard) of Pelham, Ala.; and nieces and nephews. Norman was the son of the late Justus and Lucille Smith. He was born in Weisbaden, Germany, while his parents were stationed there with the U.S. Air Force. Over the years, he would also live in Alabama, California, Kentucky, Montana, Washington, D.C., Washington State, Morocco and the Philippines. A graduate of Rockingham Community College, he began his career as a draftsman at an engineering firm. When the company purchased a Wang computer, Norman digested the manuals and taught himself programming. He would go on to start his own business with design software for civil engineers that he developed. It was used to help design the new South Norfolk Jordan Bridge in Virginia. His passions also included food, enjoying the outdoors, music and sports cars. As a boy, his Scout troop was camping in Montana but had to be rescued when the Missouri River flooded. But that didn't dampen his zest for adventure. Later in the Philippines, he and some teenage friends decided to hike from Clark Air Base to Mt. Pinatubo (without parental permission) and wandered around in the jungle longer than expected, accidentally detouring to the shore of the South China Sea. Norman loved listening to and playing music, and writing lyrics. He was a self-taught bass guitar and piano player. He was proud to share his July 26 birthdate with Mick Jagger. He enjoyed cooking, and as a young man was known for a recipe called “Fierce Beans” to help entertain friends on a budget. Norman was a lifelong free spirit, most comfortable in tee shirts and blue jeans, and usually radiating high energy and a positive outlook. His friends and family are invited to gather to share their memories with each other 2-4 PM on Saturday, April 13 at Clements Funeral Services, 1105 Broad St., Durham, N.C. In lieu of flowers, memorial contributions may be made to the Raleigh Rescue Mission: 314 E. Hargett St., Raleigh, NC 27601. To send flowers or a remembrance gift to the family of Norman E. Smith, please visit our Tribute Store. "Email Address" would like to share the life celebration of Norman E. Smith. Click on the "link" to go to share a favorite memory or leave a condolence message for the family.